With or without www wordpress — where to start? Last year, I have posted a little bit longer videos about what to do after installing wordpress blog. I did not re-watch it, but I still remember I mentioned in the video that in General settings, you should choose to have a- with or without www wordpress blog. After you are sure which one you would like to have, stick with it, and I suggest you to never change this settings. Just yesterday, I published an article, which is titled, how to fix 404 error not found in webmaster tools, and also I explained why I got that error. One of many important reason, I changed my settings in this with or without www wordpress case, from without the prefix to have the prefix. Let’s break this down..this blog, if you notice, whenever you type : http://blog.web6.org (this is the setting that I had the first day, I installed my blog) in your browser, it will automatically open : https://www.wpvidz.com. You can test it if you want..this is because I have the www for my homepage and other pages, as well as posts. If you want to check yours (with or without www wordpress you have), it should be in, “Settings” then “General”. There you should see wordpress and blog’s URL. Check it with or without www wordpress blog you currently have. ATTENTION: htaccess file is really senstive file, do not modify it if you are not sure. Then after you set with or without www wordpress, the one you want to have, you can set “preferred settings” in Google webmaster tools. I have published a detailed step by step video tutorial in this submitting sitemap to Google post. preferred settings in Webmaster Tools. With or without www wordpress — which one is the best? I can’t answer you this question since I am not 90% or even 100% SEO expert. However, about with or without www wordpress, I personally choose with the prefix. I guess it does not really matter which one you should choose. The important is choose one and go with it, do not change it, if you have to change, change once, and always remember the quality backlinks you already built. Either you choose www or without www wordpress URL, it has to be landed on the same page. Because a few Search Engines will treat them as different URL, and the content will be the same. It means it can risk you duplicating content. So, indeed, decide one, with or without www wordpress blog URL. And my reason to use www is, because it is the common way of typing a website address, and I use .org domain extension, so using this prefix will help people or search engines to see my blog address as a web address, a World Wide Web, what www stands for. ﻿There is one big advantage that people can take if they choose having blog URL without prefix. The benefit is the URL will become shorter in Search Engine result, and of course it will then display more keywords you are targetting. How about your blog? With or without www wordpress blog? ← 404 not found webmaster tools error – how to fix? 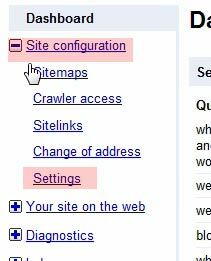 → Importance of sitemap for SEO in WordPress – Should I have a sitemap? Great article. I definitely agree with you. I think the prefix is the best way to go. I think most people naturally type www first before the actual site name. I know I do. As you mentioned the only advantage I can think of by not using the prefix is the shortening of the domain. This can help you if you have a long domain name (as I do 🙂 ) and can help you meet search engine character limits. This was my first time here Kimi! Great Post! Welcome to my blog, very nice to see you around! Yes, without prefix was shorter, but I still prefer with www, though I have losted my backlinks I have built for months..
well If i am using blog as sub domain then I would not be using www prefix to my blog. I would like to keep more simple eg: blog.xyz.com if blog is my main site I would prefer http://www.xyz.com, I will do this only when my blog is very newly installed, and I would rather not do for a old blog, just because I would end up losing good traffic from searching. There are two ways to add www to a new blog. the 1st method is while installation. I would call the url as http://www.xzy.com so that the www prefix automatically added without me changing any setting in admin. and the 2nd option is after installation in setting options and change the urls by adding www prefix. however www plays a very vital role and its a very big topic to be discussed. Yes, It is a very big topic at the moment. Best is to decide in the very beginning of setting up a blog as you said, I agree. I am trying this htaccess redirection fix (to redirect without www:) on my site but cant get it to work. Do I need to change my settings in WordPress? Under settings both URLs are defined to be without www. As far as I know, the redirection should work even if you have different settings in URL setting of the dashboard. What I can guess is, “modifying” htaccess file in your server might be disabled by your host for security reasons. I would ask your host if it’s true, or you can view file permission of the file itself. Have checked your site (again) and it seems it doesn’t work. You can alternatively do this redirection via cPanel without editing htaccess (which is easier actually). So login to your cpanel, and then look for “redirection” icon, and do it there. (redirect with www to non-www). Thank you so much. I’ve been on many sites and your instructions helped a lot.